The summary report has been prepared to examine elements of the performance and exercise of the Employer’s functions under the State Service Act 2000 pursuant to section 23(g) of the Audit Act 2008. The objectives of the review were to assess practices followed in recruiting people to fill Senior Executive Offices and employees in General Stream Bands 9 and 10 and Professional Stream Band 6 positions. costs to fill vacant positions. 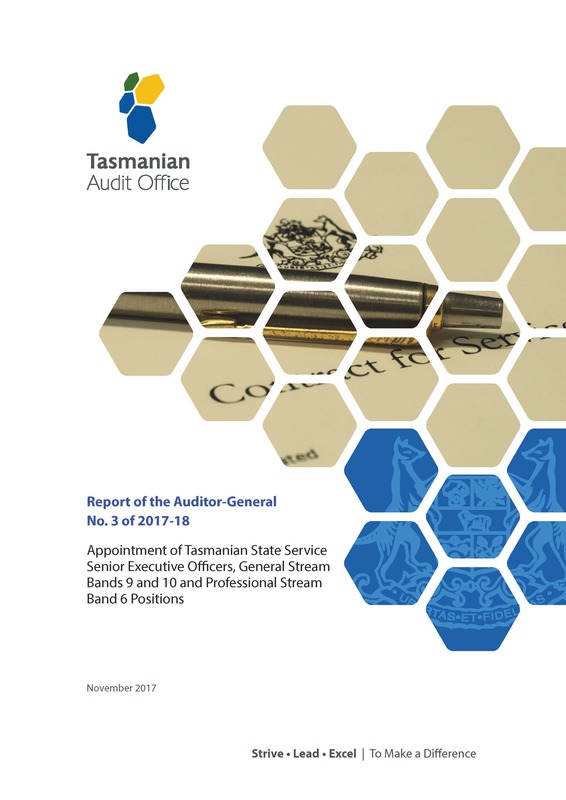 The audit objective was addressed through the criteria and sub-criteria outlined in Appendix 1 of the full report. Department of Premier and Cabinet (DPAC). These departments are collectively referred to as agencies within this Summary Report. 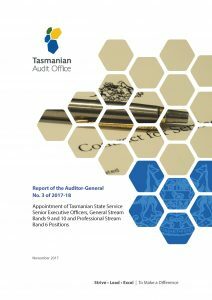 While the sample reviewed represents 22 per cent of SES office and senior State Service position appointments in 2015–16, the SES office or senior State Service position to which the findings relate can be easily identified. As a result, we have made general, rather than specific, findings against the audit criteria.